The upbeat bars and restaurants, paradisiac beaches and quaint fishermen villages have been attracting different types of vacationers along the years: families with kids traveling on a budget, fun and sun lovers, those who want to experience authentic Thailand and retreat for a while in the middle of nature as well as wealthy holiday makers looking for luxury amenities. 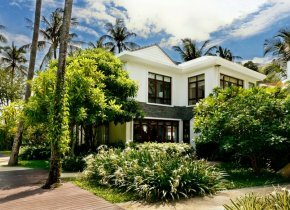 Hence, Samui property for rent has become a lucrative market and the demand for long and short term rentals has exponentially increased during the recent years. 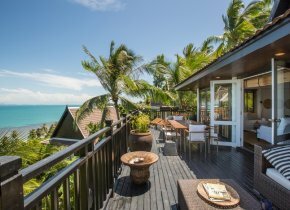 From modest bungalows standing right on the palm trees fringed beaches to luxury villas with private pools, exquisite tropical gardens and scenic ocean views, the range of Samui property for rent is so wide and varied that you will find something for every taste and every budget. 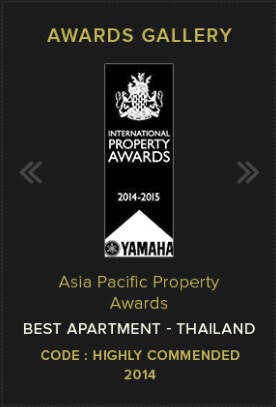 While the rates for short term leases might seem a bit high and comparable to the trendy Phuket, it is still possible to find Koh Samui long term rental property within your budget, especially if you get away from the beach and go for an apartment. 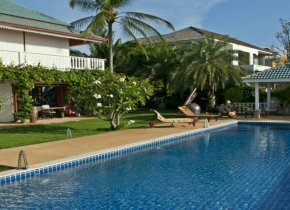 If you want to experience a luxury Koh Samui vacation or even live on this heavenly island for a while, renting a villa is your best option. 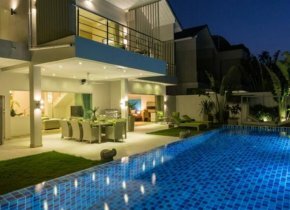 You will enjoy your privacy and benefit from a fully equipped Thailand property rental with modern amenities and all sorts of services, including cleaning, guard and car renting. 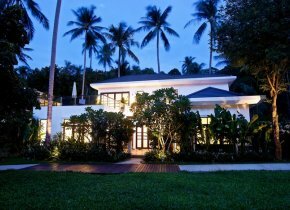 Most Koh Samui villas for rent have their own private pool and a tropical garden with scenic dining setting. 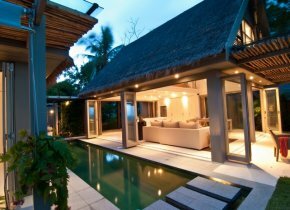 You have the option of renting a villa inside a resort, where you can benefit from all the resort services and use the resort's facilities such as restaurant, golf or tennis courts, beauty, spa and fitness centers. 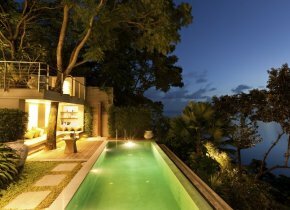 You can also opt for a private villa if you want to enjoy total privacy. Those looking for Koh Samui real estate long term rentals on a budget might find the apartments on offer on the island a good deal. 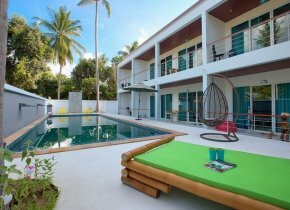 The monthly rates for this type of Samui property for rent ranges from very low to splurge, depending on the location, types of services included in the rental prices and furnishing of the residence. Usually, Koh Samui condos for rent offer high standard rooms and around the clock guard services, always making the customer's needs for premium services a top priority for our company vision. 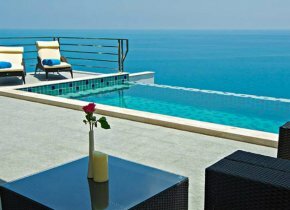 When looking for Samui property for rent, you are spoiled with choice. Besides budget and amenities, the main question guiding your search for the right rental is whether you want to be living exactly on the beach or somewhere in the proximity of the beach. 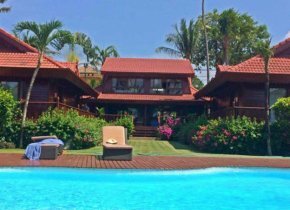 If you are happy with walking for a few minutes or driving to the beach, then you can even save some money or enjoy a luxury Thailand property rental without spending a fortune. If you want to be on the beach's proximity, then you might wonder which of them to pick. Chaweng Beach is probably the best-known area with tourists. 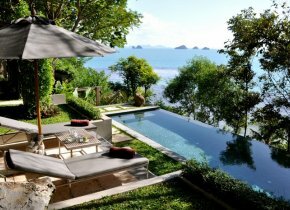 Located just outside of the island's biggest town, this beach is Koh Samui's hot spot when it comes to action. Here is where everything happens. 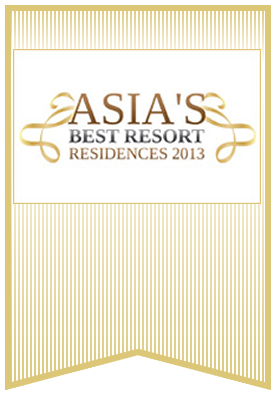 Here you will find the liveliest nightlife and the best restaurants. 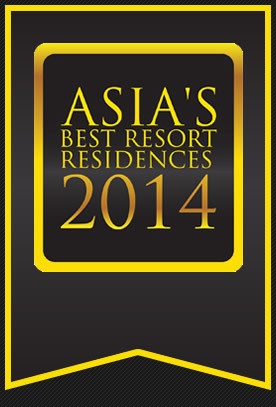 Some will also argue that Chaweng is also the best beach on the island. 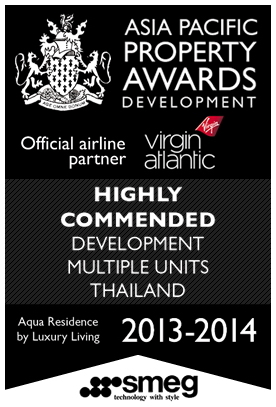 So, if you want to be in the middle of action, Chaweng is the place to look for Samui property for rent. The options are varied and cover all budgets. Standing on the north-eastern tip of the island, and 20 minutes car ride away from the busy and noisy Chaweng, Choeng Mon Beach is an all times favorite of all those looking for a quiet idyllic setting, with secluded bays and relaxing sand strips. 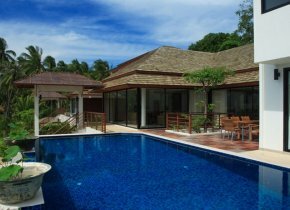 The choice of Samui property for rent is rather limited here, but with ahead planning, you can get exactly what you are looking for. Lamai Beach is another very good option for vacationers. 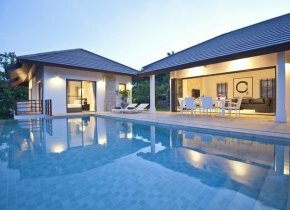 Being the second largest resort area on the island, the town of Lamai offers a wide range of Samui property for rent. Although dotted with restaurants, night clubs and entertainment hub spots, Lamai area also offers quiet beaches and quaint fishermen villages where you can enjoy the sun, and experience Thailand at its best. 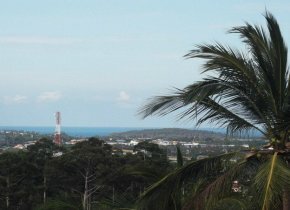 If you want to explore the other parts of the island while living here, you can do it at ease as you will find a wide range of transportation options. Maenam Beach is another great place to look for Samui property for rent, especially if you are into windsurfing or other water sports. The currents on this beach are great, but the waters are not as clear as on other parts of the island. 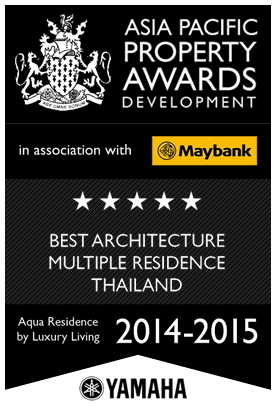 This is where you will find some of the most upscale rentals in Koh Samui. 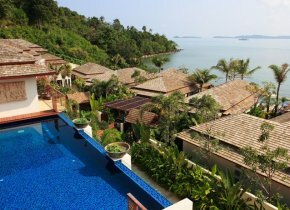 Before you start looking for Samui property for rent, you should know prices depend on the season. There are basically three seasons here: a dry one, a hot one and a rainy one. The dry one, running from December to February is also the time of the year when rental rates will be at their highest point because the weather is warm and there are no rains. During the hot and rainy seasons, rates are lower, but you will either have to endure sweltering heat during the day , or experience some tropical pouring rains. 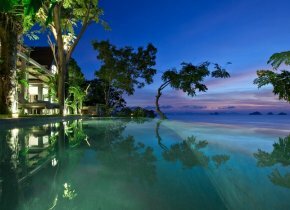 Once you know when you want to go to Koh Samui and for how long, you can use the services of a reputable real estate company such as Luxury Living Samui, whose knowledgeable experts will help you find the best Koh Samui rental, whether this is for long or for short term. 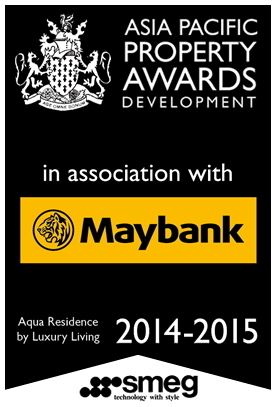 You will just need to inform us on the budget frame you have set for accommodation and any special requirements you might have regarding the residence.